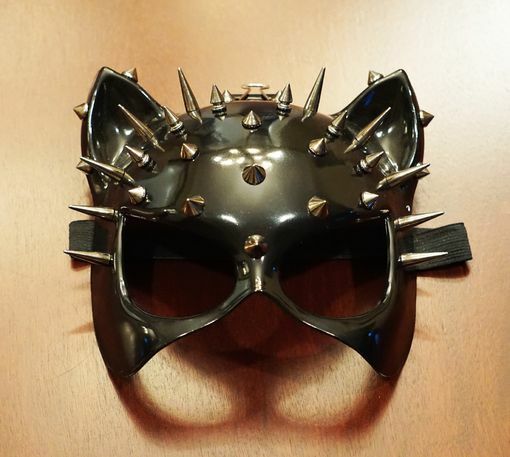 Electra cat mask is painted gloss black and accented with metal spikes. This mask is made of a light weight PVC and comes with black elastic band. Mask is also available in gloss red.